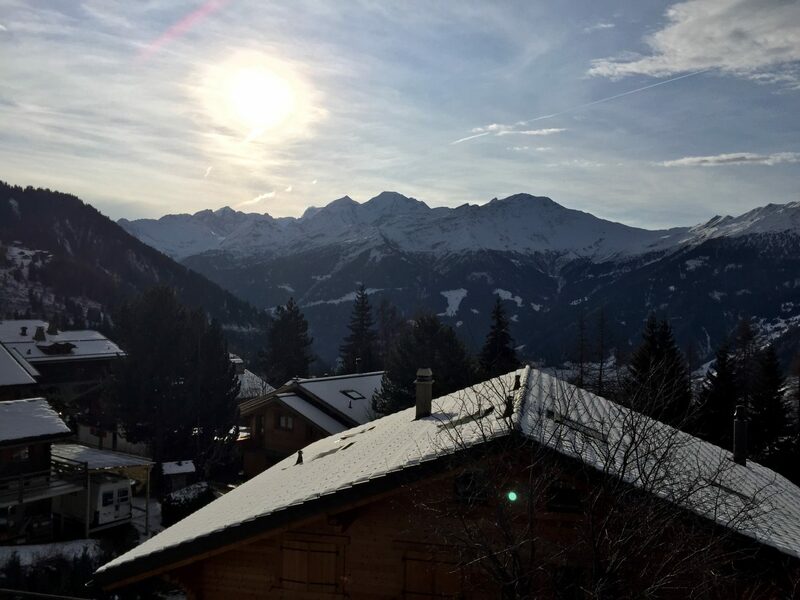 This weekend I was lucky enough to experience the opening season weekend in one of the world’s finest ski resorts, Verbier, Switzerland. 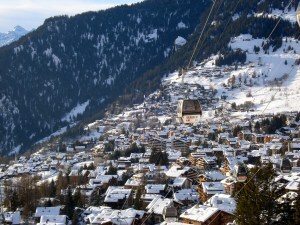 Chocolate-box pretty Verbier is the main resort in Switzerland’s largest ski area, the 4 Valleys. It’s renowned for its blue skies, sunny days, excellent terrain, lively après, great bars and elite crowd (think Kate, Harry, Posh et al). My whirlwind tour didn’t include any slope action this time, but I did get to explore the town without the achy legs and heavy boots. As soon as I arrived, I was chauffeured straight to the launch party of Le Mouton Noir, which is Verbier’s first mountainside food, drink & entertainment venue. It’s located at the top of the Médran run, has recently had a face-lift and now has Verbier’s largest on-piste sun terrace. In no time at all, I had a cocktail in hand and was admiring the incredible views of the Swiss Alps. After the entertainment of dancers, singers & DJ’s we headed back to the hotel. The perfectly located and recently renovated old Hotel Montpelier (previously 3* Bed and Breakfast), has launched for the winter season as a family-friendly guesthouse. This quaint hotel gives more people the chance to experience Verbier’s beauty. The staff were impeccable and always more then happy to help. The room was warm and inviting and had everything you could need, including kitchen facilities, a two-sink bathroom and large double bed in a separate room to the lounge. The porch looked over the Swiss Alps and made that early wake up call a little more bearable. We quickly freshened up and went to check out the award winning Hotel Cordée Des Alpes for an espresso martini (they were off grid delicious!) We then hit up the fashion show, hosted by Marcus Bratter – the man behind Verbier’s only design Hotel Nevaï and of course Hotel Cordée Des Alpes, seriously that place is beyond incredible. I was lucky enough to be introduced to Marcus – such a humble man for been named ‘Mr Verbier’ as he pretty much owns the whole town! After the show we headed to Nomad Sushi Lounge for its opening night following its move from the Farinet. The new location is at the Nevaï Hotel with exclusive private dining and public lounge bar area, which somehow works incredibly well in its unusual alpine surroundings. 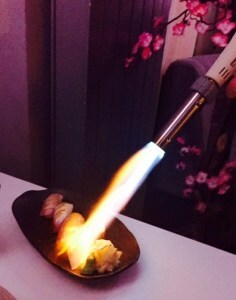 The contemporary Japanese Restaurant’s head Chef Tommy Rock whipped up modern Japanese cuisine with South American influences. We had a range of different dishes – mainly fish. 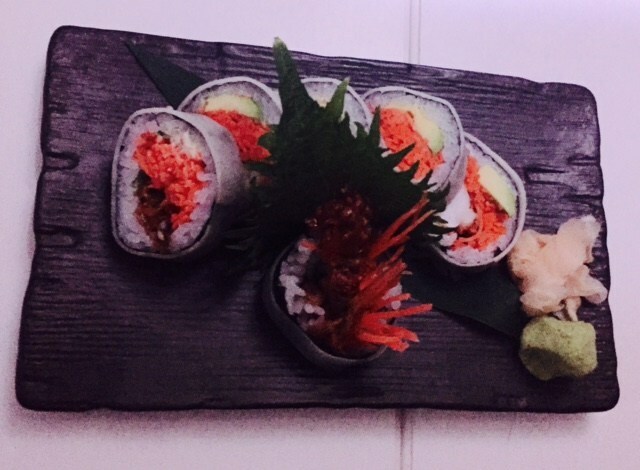 My favourite was without doubt the tempura prawn and soft shell crab sushi. After a couple of cocktails I was well in the mood to check out the iconic Farm Club – a place famed for offering up the ultimate Verbier party experience. It was a bit of a meat market, but hey ho, no complaints there – it was lots of fun. As we made our icy party feet back to Hotel Montpelier, I was out as soon as my head hit the pillow. I unfortunately only got to stay for one night, but trust me I am already planning a girls trip here next winter- absolutely loved it!